If you have been arrested for a Felony Grand Theft or another type of theft offense in the St. Petersburg / Clearwater area, we can help. The attorneys in our office routinely handle these types of cases at the Pinellas County Criminal Justice Center. This webpage is an excellent way for you to obtain a better understanding of your criminal charge and the penalties it may carry. More importantly, we invite you to explore several possible solutions to your pending Grand Theft charge as they are explained below. In Florida, theft offenses are classified as both misdemeanors and felonies. In most cases, the deciding factor is the amount of money taken or the value or nature of the item. Generally speaking, a theft involving $300 or more is classigied as a felony. However, a theft offense may also become a felony due to a person’s prior record of theft related offenses. Thus, even the unlawful taking of an item that has a minimal value or the taking of a small amount of money may be a felony if the person has two prior theft convictions. If you are charged with a grand theft or other felony theft offense in St. Petersburg or Clearwater, you are facing the possibility of serious penalties. These include substantial fines, the possibility of driver’s license suspension, and potential incarceration in the State Prison System. In addition, a conviction for a grand theft or other felony theft offense would result in forever being labeled as a “convicted felon.” This will cause the loss of your ability to vote, sit on a jury, and own, use, or possess a firearm. Likewise, a felony theft offense or grand theft that results in conviction will forever taint your credibility because you have been convicted of a “crime involving dishonesty or untruthfulness.” Having a criminal defense lawyer who is experienced with the St. Petersburg / Clearwater criminal justice system may make a difference in the ultimate outcome of your theft case. Watch our video on the possible penalties associated with a felony charge. Watch our video to learn several strategies we can use to defend you on a charge of “Burglary to a Conveyance – Auto Burglary. In addition, the taking of property from a dwelling or residence is a felony even if the amount of the stolen money or items is between $100 and $300. 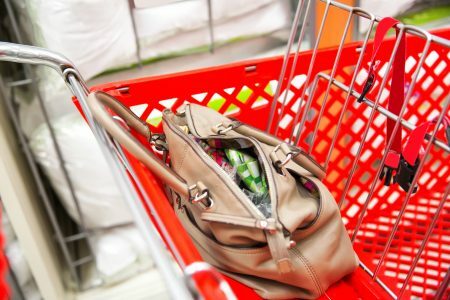 Although many shoplifting, petit theft, or retail theft offenses are classified as misdemeanors, the charge can easily become a felony “Grand Retail Theft” if the items unlawfully taken from the merchant are valued at $300 or more. Florida Statute 812.015(8). 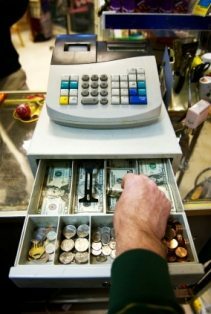 In some cases, our office can be sucessful in having your felony grand retail theft charge reduced to a misdemeanor by arguing that the property unlawfully taken had a diminished value of less than $300. Learn more about how we can help in shoplifting, petit theft, or misdemeanor retail theft cases here. Evaluate the lawfulness of the police investigation and whether the evidence was legally obtained and admissible in court. Provide early intervention on your behalf to the State Attorney’s Office in an effort to convince the prosecutor to not file charges, or to consider proceeding with a less serious offense than the one for which you were arrested. Take steps to make application for your participation in the “Pre-Trial Intervention Program.” Your successful completion of this “diversionary” program will result in the dismissal of the charge pending against you. Demonstrate facts and “mitigating” evidence that allows the judge hearing your case to determine that you are worthy of receiving a “withhold of adjudication” so as to avoid a formal felony conviction. Resolving your felony charge by securing a withhold of adjudication carries enormous benefits. You would be lawfully permitted to thereafter state that you were not convicted of this felony offense. Additionally, this remedy has the benefit of avoiding a potential suspension of your driving privilege. Depending on your prior record, we may be able to seal or expunge all of the records associated with your arrest and prosecution. If you have been charged with a Grand Theft or other Felony Theft offense in St. Petersburg, Clearwater, or other area of Pinellas County, we are criminal defense lawyers who can help. Together we can discuss the individual facts of your case and decide on the most beneficial course of action. Call our office at (727) 578-0303 for a free consultation.